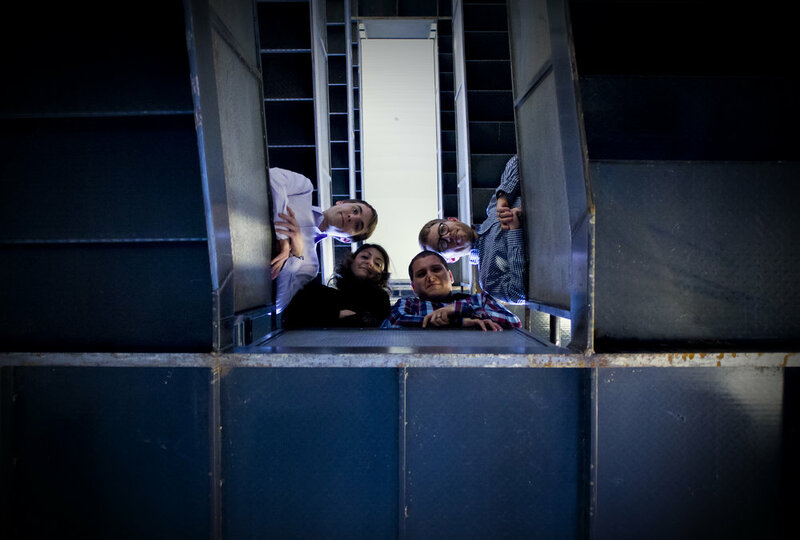 The Viridian Saxophone Quartet, comprised of members Casey Grev, Madeline Morizio, Kyle Landry, and Eric Troiano, was formed in 2015 with the goal of presenting exciting performance of new and standard works for saxophone quartet. Members of the Viridian Saxophone Quartet have received prizes in the Coleman, Fischoff, and Music Teachers National Association (MTNA) Chamber Music Competitions, and in March of 2016 they won the 2016 North American Saxophone Alliance (NASA) Quartet Competition. The quartet also maintains an active schedule of outreach workshops, giving recitals and masterclasses at many high schools and universities around the country. Casey Grev is the Assistant Professor of Saxophone at the Crane School of Music at SUNY Potsdam. Casey is a dedicated performer for contemporary music. He had performed at the Resonant Bodies Festival, Hot Air Music Festival, San Francisco Center for New Music, Society of Composers Inc. National Conference, Northwestern University New Music Conference, The Ohio State University Contemporary Music Festival, and was selected to study at the 2016 Darmstadt Summer Courses for New Music. As a chamber musician, Casey performs regularly with the Viridian Saxophone Quartet and the Protean Duo. He has received awards at the Coleman, Fischoff, MTNA, and NASA Chamber Music Competitions. Casey has his MM and DMA degrees from Michigan State University, where he was a recipient of the University Distinguished Fellowship and studied with Joseph Lulloff. Casey’s undergraduate degrees in Music Education and Music Performance are from Ohio State University, where he studied with James Hill. Madeline Morizio is a music educator in Rochester, New York. Along with being an educator, she is an avid performer. She is the alto saxophonist in the Viridian Saxophone quartet, and also performs in a saxophone-percussion duo. She has performed at several conferences around the country, including the Navy Band Saxophone symposium, and the 2016 North American Saxophone Alliance where the Viridian Quartet took first place in the Saxophone Quartet Competition. She received her MM degree in Saxophone Performance from Michigan State University under the direction of Joseph Lulloff, and she received her Bachelor’s degree in Music Education and Performance Certificate from the Crane School of Music at the State University of New York at Potsdam, where she studied with Christopher Creviston and Robert Young. Kyle Landry is a dynamic and engaging contemporary saxophonist, composer, artist, and music educator. He is also the Program Manager of the famed 92nd Street Y School of Music in Manhattan. As a performer and composer, Kyle has dedicated his career to presenting unique and engaging works that immerse the audience and evoke questions. Most recently, Kyle premiered his new work, “NODE,” at the Broad Art Museum in East Lansing, Michigan. This piece featured a purpose built interactive mechanical-feedback instrument, which reverberates sound through a 10-foot spring controlled by a computer, creating feedback loops and resonance. As a chamber musician, Kyle regularly performs with the Viridian Saxophone Quartet. He has won numerous awards, including prizes at the Fischoff National Chamber Music Competition, NASA Chamber Music Competition, Coleman Chamber Music Competition, and the MTNA Chamber Music Competition. Currently, Kyle is in the final stages of his DMA at Michigan State University in Saxophone Performance. His previous degrees include a MM from Michigan State University, and both a Bachelor of Music Performance and a Bachelor of Music Education from Central Michigan University. Eric Troiano is the Instructor of Saxophone at the University of Arkansas. He maintains an active teaching and performing career as a soloist and chamber musician. He has been a guest artist at numerous places including Ithaca College, Central Michigan University, Oakland University, Southwestern Oklahoma State University, Interlochen Center for the Arts, and many other high schools around Arkansas, Michigan, and New York. As a chamber musician, he performs regularly with the Viridian Saxophone Quartet across the country. He has won prizes at the Coleman, Fischoff, MTNA, and NASA Chamber Music Competitions. An advocate for new music, Dr. Troiano has premiered and commissioned many new pieces for the saxophone and saxophone quartet, including pieces by composers Alexis Bacon, Bill Cunliffe, Andrew Francis, Peter Golub, Justin Rito, Curtis Smith, Joel Thompson, among others. 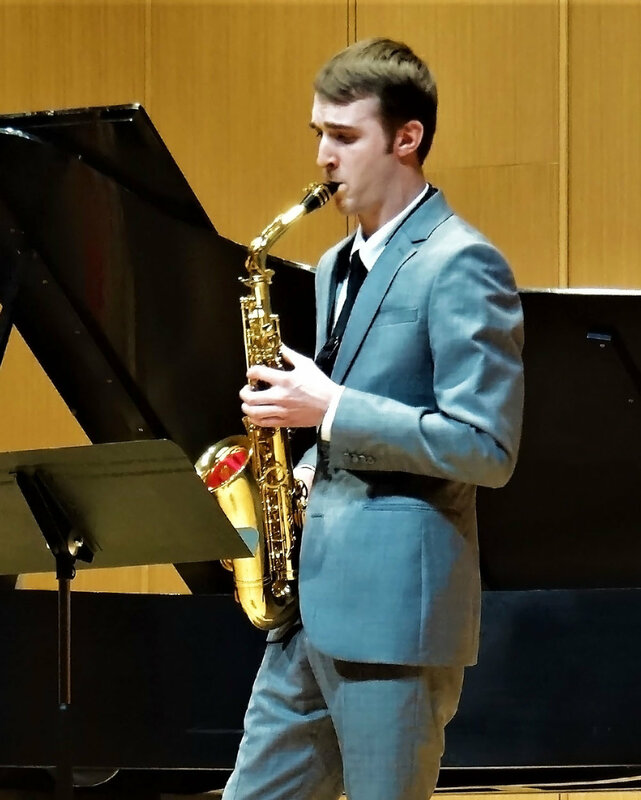 Eric has his MM and DMA degrees from Michigan State University, where he studied with Joseph Lulloff, and undergraduate degrees in Saxophone Performance and Music Education from Ithaca College, where he studied with Steven Mauk.